Our process gives writers the time and talent they need to move their projects forward. The mission of the Canadian Music Theatre Project (CMTP) is to nurture the development of new musicals and expand the canon of music theatre. By connecting creative teams with students who are eager to bring new characters to life, we create an environment that allows material to be tested and rewritten, and a forum for students to participate in the development process. Stories about Canadian heroes and heritage are making their way to Sheridan, as well as those from around the world. 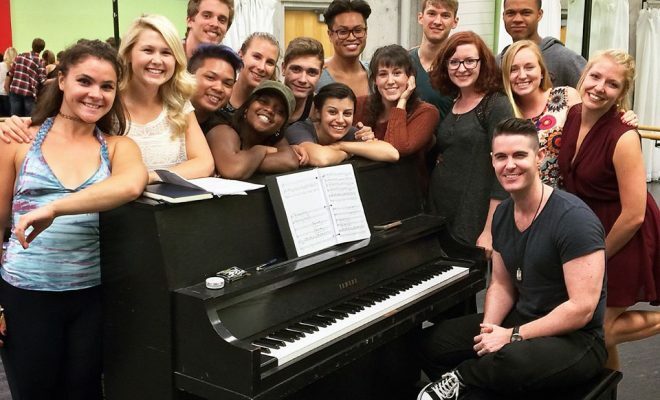 Musicals at all stages of development are eligible to participate in a CMTP workshop. Three or four projects are selected each year based on subject matter, style and content. The workshops culminate in staged readings over a three-day period in early fall in front of an audience that includes 200 industry professionals and theatre enthusiasts. Creative teams have the opportunity to work with a cast of fourth-year students who have capitalized on their training for the past three years. This collaborative process provides immediate insight into character development where material can be refined and tested during the workshops. Auditions enable creative teams to view the entire fourth-year class in order to assemble a cast that benefit’s their project. Sheridan provides payment of a writer’s fee and a five-week workshop that offers up to 170 total hours of rehearsal. Weekly show and share meetings bring the cast and creative teams of all projects together to discuss progress and to showcase content. Creative teams receive archival recordings of their presentations and a professionally produced demo recording may also be offered. Sheridan engages a director and music director for the presentations of three-day, 45-minute public readings in Macdonald Heaslip Hall at Sheridan’s Oakville campus. 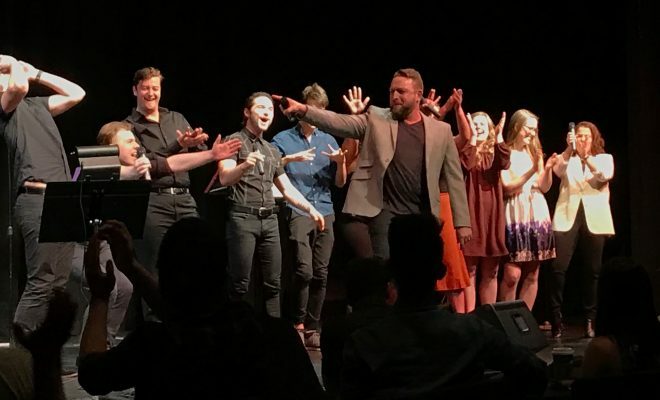 A writer’s cabaret provides creative teams with the opportunity to perform material from their repertoire, for the entire Honours Bachelor of Music Theatre Performance program. The CMTP’s Producer evaluates submissions based on content, stage of development and creative team. Once selected, writing teams are expected to participate fully in casting, the workshops, the writer’s cabaret, and the final presentations. Only those shows that are selected to participate will be notified.